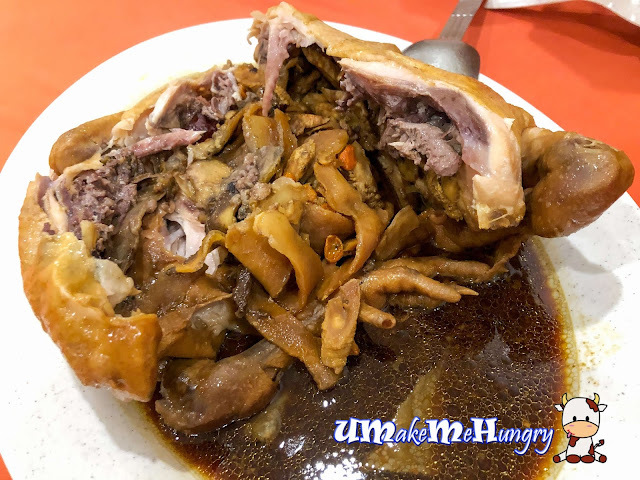 We all heard about the Beggar Chicken 乞丐鸡 / 叫化鸡 in Johor Bahru but there were many times when we tried to locate the place, we could not really make ourselves there due to unknown address on Google Map. Moreover, through words of mouth, we learnt that 1 Day advance booking is required. Since then, going there has never come across our mind as our trip to Johor is always a last minute decision nowadays. However, recently I learnt that they have got a new place and decided to try our luck if we could go there. It was a last minute decision and although we know that we have to call in 1 Day in Advance to make booking, I tried our luck through Whatsapp (+60-16757-1887). Fortunately, the boss managed to reserve one chicken for us even no advance booking was made. To ease our journey to their place, he had also sent the link on google map and we followed it accordingly. 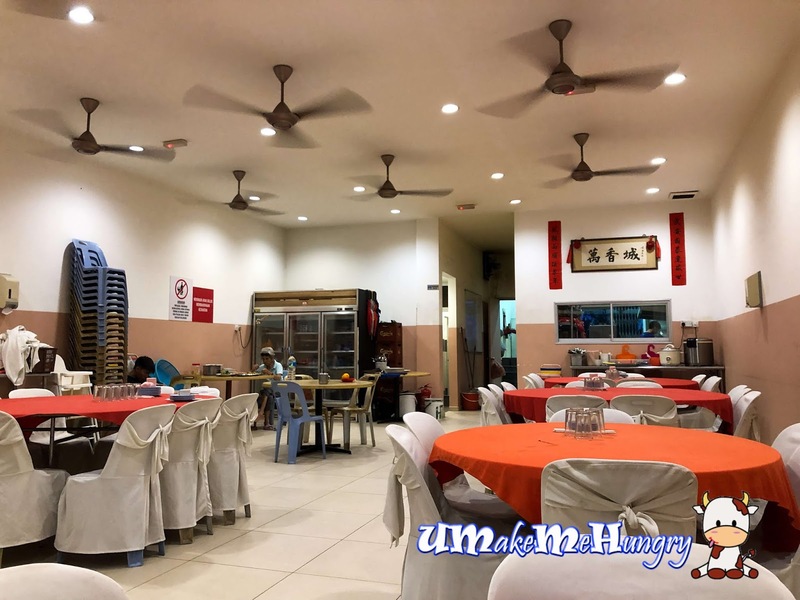 When we reached there, we were quite shocked as the place was empty with no other customers seen during dinner time on a Sunday night. 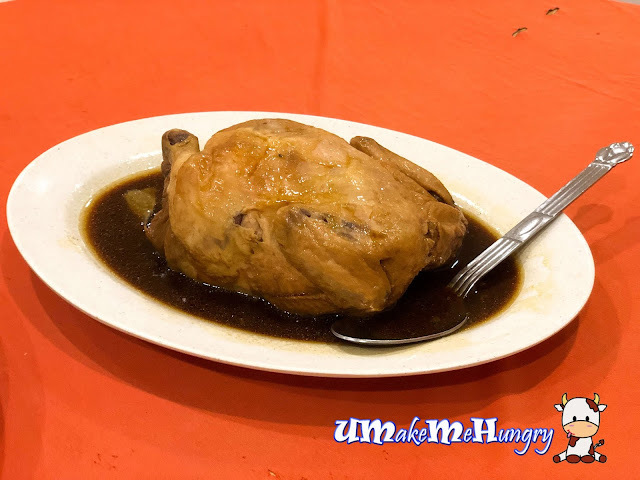 What's outstanding about the Beggar Chicken? I would say its the traditional way of preparing this delicacy. The chicken was stuffed with assorted herbs and being wrap with layers of grease paper and earth clay. There then, it was placed in a bed of charcoal to bake for 8 hours. How does this Beggar Chicken come about? Apparently this dish is very popular in China. During the ancient time, it was said that a beggar stole a chicken from the farm and in order to prevent getting caught, he covered the chicken with lotus leave and packed clay / mud over it and buried to cook it, avoiding smoke that attract others. The chicken was indeed very tender and fall off the bone easily with little effort. We dissected the chicken and was impressed by the herbs inside: Wolfberries, red dates, danggui etc. It was packed full of luscious herbal taste though it might be a tad bitter for some. Pairing the chicken with Tung Hoon. 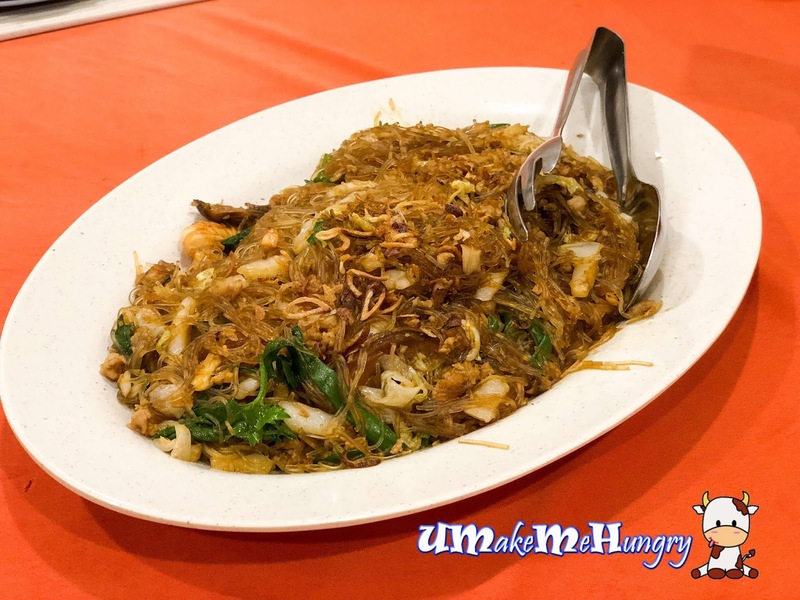 I will agree that this plate of Tung Hoon gave us a good reminiscent of childhood taste. Ingredients were generous, consisting of mushroom slices, vegetables, prawns, meat and the use of dried shrimp had definitely elevated the taste. I wanted to order this as I knew the soup will come in the melon. 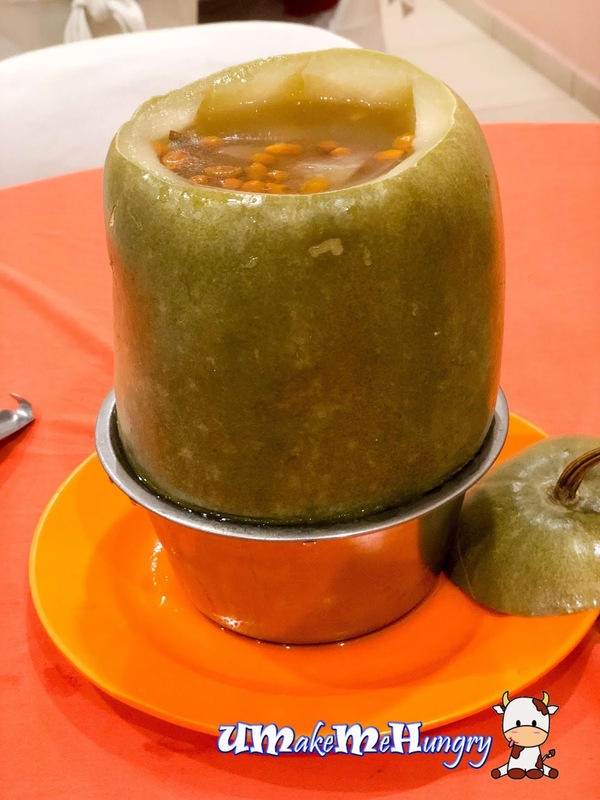 Melon was elongated and this gave a good depth to contain a few bowls of melon soup. This is also one of their signature dishes. 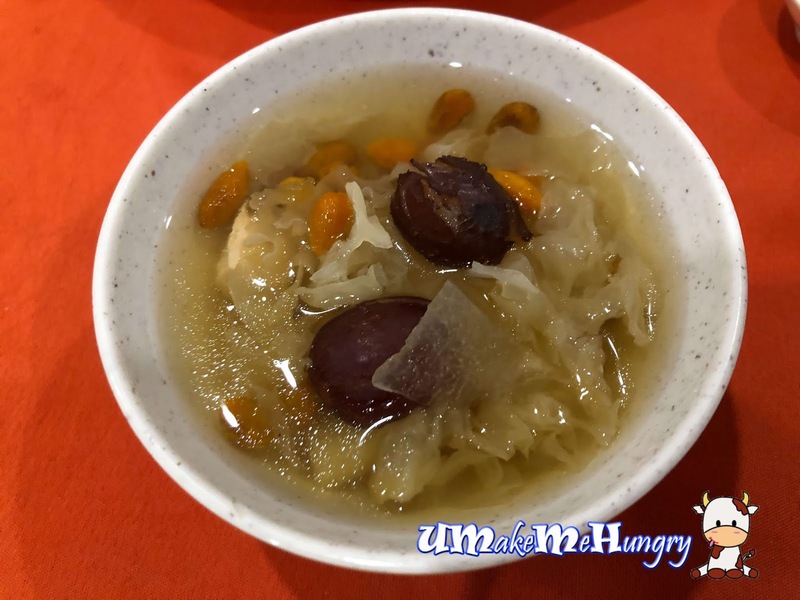 It was steamed for hours with ingredients like wolf-berries, chicken meat, white fungus and red dates. 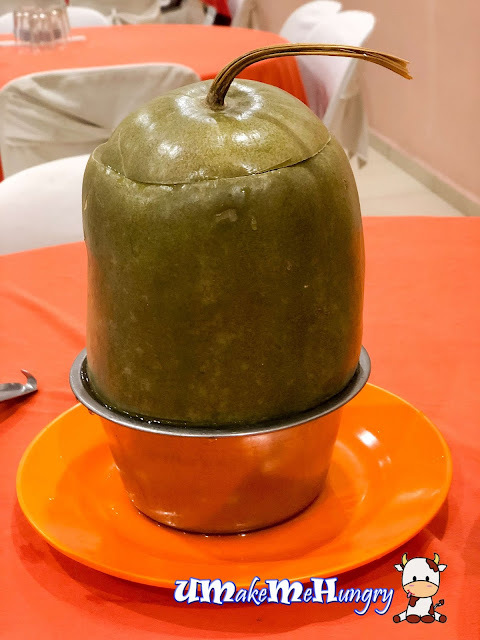 The taste was quite subtle with little or no winter melon taste. Remember to scrape the side of the melon wall to get some cooling winter melon flesh. I knew at least the hype of Beggar chicken had died down in me even though many had raved about it. Though meat was fork tender but it kind of lack the herbal taste in it. 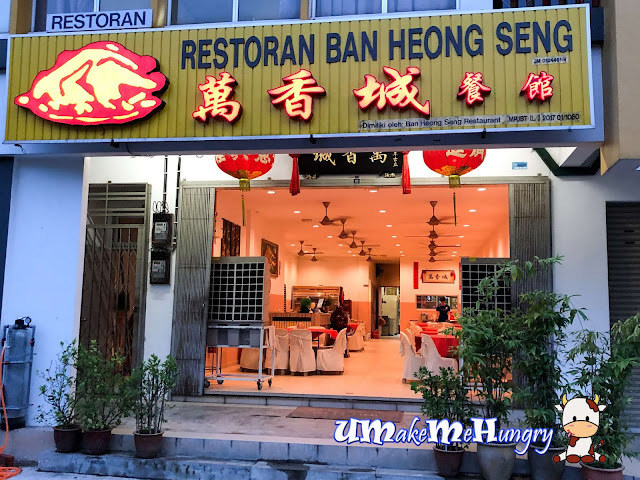 Given their Signature dishes as the beggar chicken with traditional method of cooking, we still prefer the usual herbal chicken that has got herbal infused.